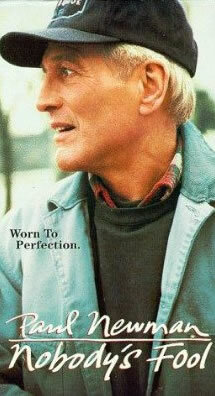 Finding the truth in life, in motion pictures, in storytelling and the character of Paul Newman. What a loss. What a legacy. What a man. While my connection with Paul Newman was mostly about being a designer, for several of his films, I never had the chance to connect with him — live. Eye to eye. But I, like millions of other people around the world, loved what he stood for. And there was something in the classically flawed and out-of-sync, conflicted personality that he often portrayed, that allows us — as similarly human — to relate to him. We’re struggling, at various levels of being — trying to find our selves, get some place, aspire to something. Each, their own. And we might find our truth, or we might not, but we struggle to get somewhere along that path. Being in those roles, that nearly outline the best of the best in his cinematic portfolio, we can connect with the honesty, the truth of who he portrayed on screen — and who he was as a man — off screen. With a sense of wry humor, a profound compassion, and a willingness to poke fun at virtually everything he did — and was known for — we relate because of the inherent authentic character of him. Nobody’s Fool, the film that I worked on, at his request, was something that was emblematic of his essence. The earlier design treatments, the posters, were — to his eye — too formal, and not capturing the casually rambling nature of the story, the humanity — “too stiff”. That solution was turned in a day. Worn — and lived, to perfection. God rest ye, merry gentleman.